The study and practice of marketing is too big to encapsulate into one article. We will take the approach of looking at marketing as the transmittal of your own ideas into the minds of others. Influencing and marketing go hand-in-hand, with marketing serving as a tool for the growth of influence. The better you are at marketing your ideas, the faster and wider your influence will grow. 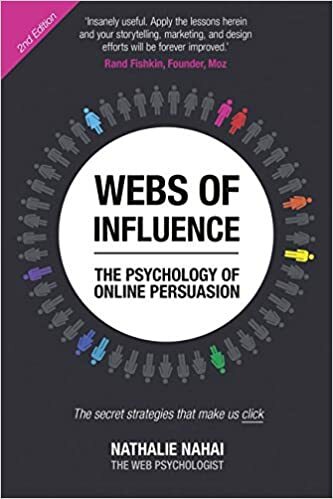 Marketing for the sake of growing your influence follows the same basic principles as marketing for the goal of getting customers to buy a product or subscribe to a service. You have to first begin at analyzing marketing strategies at a deeper level than just flashy advertisements and promotions that are too good to be true. Focus on the deeper reasons for all the marketing that is done in the world. If used for good-willed reasons, marketing can be of value to your customers. The methods with which you market your products and ideas can legitimately improve the lives of your recipients. Thereby you should market with the aim to introduce new things into people’s minds which will improve their every-day lives. Your principal reason for being interested in marketing strategies should be one of providing value to your customers. To do this, you must first be wholly confident in the product, service, or information that you provide. The interest that your product, service, or ideas generate is difficult to control. Typically, interest from others in things you create is directly associated to how useful your creation is to the customer. The customer decides on how useful something is to them by themselves and there is not much that you can do to influence that – other than to make a better product. What you can control through marketing however, is the level of opportunity you give your customers to discover your products further. The purpose of all marketing that you do should be in an effort to provide the means of further discovery. You will seldom make someone buy something from showing them one advertisement. The marketing that you do should merely be a window of interest for your buyer. They should be provided with an opportunity to discover more about your offerings for themselves. The only person that can make you buy something is yourself. Thereby your marketing efforts should not stem from a place of tricking people to buy things, but rather giving them an opportunity to talk themselves into buying those things. Your focus should be solely on your product, and making it desirable for others. Once you complete that mission, then you should focus on providing the opportunity for others to explore the value of your product. Your marketing strategy should never be desperate, forceful, or loud. It should simply give your customers the opportunity to commit to your product. As mentioned before, this process is internal to your customers’ minds. Use marketing as a window of exploration rather than a method of purchase. It will give your customers the peace of mind and the breathing space to talk themselves and possibly others into purchasing your product.